After The Walking Dead's staggering reception, it was no secret that Telltale Games would be looking to re-enter the market with a similar bang. As we already know, Telltale revealed that their next comic book-turned game venture would be from the DC comic series Fables; which today has been named The Wolf Among Us over on IGN. 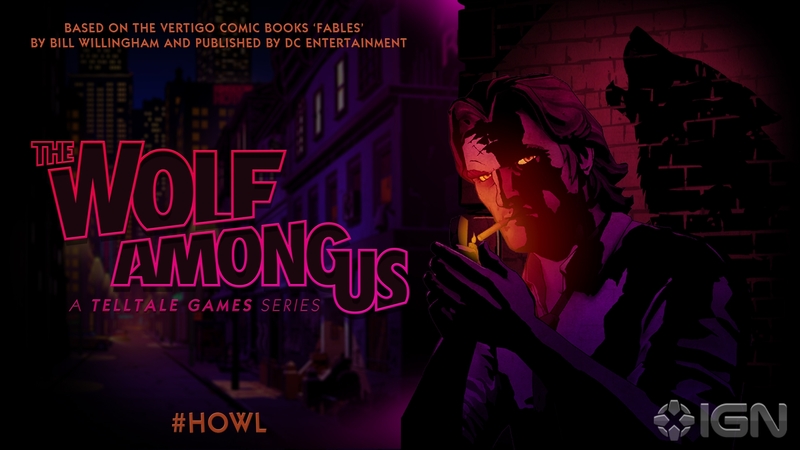 Surprisingly, The Wolf Among Us will take place before the comic book adventures, instead we'll take control of Bigby Wolf; a character who's exiled to New York with the mission of keeping numerous fair tale characters under wraps and away from the prying eyes of the world. The above quote hints that The Wolf Among Us will follow the same format as The Walking Dead; where the player will be able to tailor the dialog with a flurry of choices that'll ultimately effect how other characters respond to you. If that's true, we can expect to see yet another contender in the race for game of the year! Can Telltale make it two Game of the year awards in a row? Let us know in the comments below!